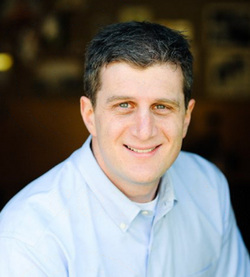 Dr. Brian Wolff is the owner of Wolff Child Psychology and a Licensed Clinical Psychologist with specialized training in the evaluation of Autism Spectrum Disorders, Dyslexia and other learning disabilities, intellectual and executive functioning, developmental challenges, ADHD, anxiety, depression, and behavioral difficulties. His clinical work is grounded in evidence-based research and employs a primarily cognitive-behavioral approach to assessment and therapy. In addition to diagnostic evaluations, Dr. Wolff collaborates with families in developing and sustaining educational and treatment plans focused on supporting the academic, cognitive, social-emotional, and behavioral needs of children and teenagers. Plans can include individual and/or family therapy, as well as consultation with school teams and health professionals. Dr. Wolff obtained post-doctoral training both as a Research Fellow at JFK Partners at the University of Colorado Denver, and as a Lecturer at the University of Denver. His M.A. and Ph.D. are in Child Clinical Psychology from the University of Denver, and he received a B.A. in Psychology and Sociology from Yale University. Dr. Wolff has seen the powerful effect that successful psychological evaluations and treatments can have on improving children’s lives. He sincerely looks forward to working closely with you to create positive and sustainable changes for your child and family. Dr, Elizabeth Bruno is a Licensed Clinical Psychologist with specialized training in developmental and neuropsychological assessment. Dr. Bruno employs evidence-based practices to provide comprehensive assessment and consultation services to children and adolescents who may be at risk for cognitive, academic, social and behavioral difficulties. She received her BA in Psychology and her MA in Clinical Psychology from Southern Methodist University. She received her Ph.D. in Clinical Psychology from Loyola University Chicago. During her time in graduate school, Dr. Bruno received specialized training in developmental and neuropsychological assessment at Ann & Robert H. Lurie Children’s Hospital in Chicago. She also completed an intensive internship program in Pediatric Psychology at Rush University Medical Center in Chicago. Following her graduation, Dr. Bruno completed a Post-Doctoral Fellowship through the Developmental Medicine Center at Children’s Hospital Boston/Harvard Medical School. Dr. Bruno received in depth training on the assessment and diagnosis of autism spectrum disorders as well as the interaction between medical conditions and development. She was also a Clinical Instructor in the Developmental and Behavioral Pediatrics Program at Lucile Packard Children’s Hospital at Stanford. Having received extensive training in her field of work, Dr. Bruno values the opportunity to work directly with families through every step of the assessment process. Dr. Erin Bozorgpour is a Licensed Clinical Psychologist at Wolff Child Psychology. She has specialized training in the assessment and treatment of individuals with psychological conditions and/or neurodevelopmental disabilities and their families. She received her masters and doctorate degrees in Clinical Psychology from the University of Rochester in Rochester, New York. As a pre-doctoral intern, Dr. Bozorgpour completed an American Psychological Association accredited one-year internship training program in child clinical and pediatric psychology through the Children's Hospital Colorado, Department of Psychiatry and Behavioral Sciences in Aurora, Colorado. She also completed a post-doctoral psychology fellowship through the Children's Hospital Colorado and the University of Colorado Denver School of Medicine in the Child Development Unit, Section of Neurodevelopment and Behavioral Pediatrics in Aurora, Colorado. Dr. Bozorgpour is passionate about and committed to partnering with children, adolescents, adults and their families to identify and intervene in vital areas (academics, cognitive, social-emotional, and behavioral) using evidence-based approaches. 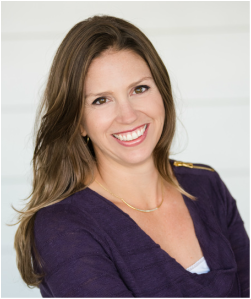 Dr. Erica Meyer is a licensed psychologist with extensive experience and training in child and adult assessment. Dr. Meyer enjoys working with children, adolescents, and adults with Learning Disabilities or learning differences and Attention Deficit / Hyperactivity Disorder as well as individuals with more complex presentations such as Autism, epilepsy, Tourette Syndrome, traumatic brain injuries, and emotional and behavioral challenges. She earned her doctorate in Clinical Psychology (Psy.D.) from the California School of Professional Psychology in the San Francisco Bay Area. She completed internships in adult and pediatric neuropsychology at the University of California–Sacramento Medical Center in the Department of Neurology and at North Shore University–Long Island Jewish Medical Center in Manhasset, New York, in the Department of Neurology. Dr. Meyer also completed post-doctoral residency training in pediatric and adult neuropsychology and psychodiagnostic assessment at the Neuropsychiatric Institute at University of California Los Angeles and The Help Group in Sherman Oaks, California. Starting in 2005 and until relocating to Colorado in 2013, Dr. Meyer worked in private practice, served as clinical faculty at the UCLA Medical Psychology Assessment Center, and taught graduate level psychological testing and child development courses. She was pleased to join the Wolff Child Psychology team in 2015. 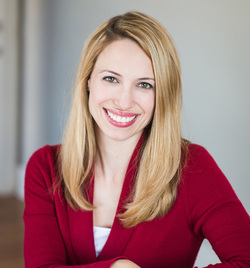 Dr. Nicole Eberle is a Pediatric Neuropsychologist. She earned her BS in Psychology and Spanish and Ph.D. in Counseling Psychology from Colorado State University. Her graduate training focused on Child and Family Intervention and Assessment. Dr. Eberle completed an intensive pre-doctoral internship program in Pediatric Psychology at Children’s Hospital of Orange County. She gained specialized training in Pediatric Neuropsychological assessment during a two year Post-Doctoral Fellowship program at Advanced Neurobehavioral Health of Southern California. Through this experience, Dr. Eberle gained expertise regarding brain-behavior relationships in children ranging from 0-25. She has worked extensively with children with developmental disorders, attention and learning disabilities, as well as children with medically complex needs that affect their learning and behaviors. ​Dr. Eberle has served as a Clinical Instructor at Colorado State University teaching neuropsychological assessment. She has also worked in both inpatient and outpatient settings at Children’s Hospital Colorado. Dr. Eberle believes in comprehensive assessment to individually tailor treatment recommendations based on a child’s unique strengths and weaknesses. ​Dr. Kathy Culhane-Shelburne is a Neuropsychologist. She received her Ph.D. in Clinical Neuropsychology from the University of Houston in 1996. Throughout her graduate training she worked in the departments of Neurology and Neurosurgery at Baylor College of Medicine and gained experience working with children and adults with a range of neurodevelopmental conditions such as epilepsy, cerebral palsy, genetic syndromes, brain injury, learning disorders, and autism spectrum disorders. She completed a clinical internship at the University of North Carolina at Chapel Hill focusing on children with autism and other developmental disabilities and subsequently came to Denver to pursue two postdoctoral fellowships in the study of neurodevelopmental disorders. She has published several research papers and lectured in the areas of childhood epilepsy, traumatic brain injury, autism, and early childhood assessment. She served on the faculty of the Department of Pediatrics at the University of Colorado Health Sciences Center from 2001 to 2010 and has provided evaluation and consultation services for many years while working with two Denver non-profit organizations, Developmental FX and Rocky Mountain Human Services. Dr. Culhane-Shelburne has been licensed as a Psychologist in the State of Colorado since 1998. ​Dr. Jessica Torres is a Licensed Clinical Psychologist. She received her M.A. and Ph.D. in Clinical Psychology from the University of Denver. She completed pre-doctoral training in assessment, therapy, pediatric primary care, postpartum depression, and infant development through the Department of Psychiatry and Behavioral Sciences at Children’s Hospital of Colorado in Aurora. As a pre-doctoral intern, she completed an American Psychological Association accredited internship training program in child clinical and pediatric psychology through the Children’s Hospital of Orange County Pediatric Psychology Department in Orange, California. Dr. Danielle Mohr is a Licensed Clinical Psychologist. She earned her M.S. and Ph.D. in Counseling Psychology from Colorado State University. Her graduate training focused on assessment and treatment of children and adolescents with ADHD, learning disorders, Autism Spectrum Disorder, and mood and behavioral concerns. Dr. Mohr completed her pre-doctoral internship at Community Reach Center, in Adams County, Colorado, and a post-doctoral fellowship in clinical child psychology at the University of California at Davis Medical Center. Dr. Mohr has served as the Assessment Coordinator for Aurora Mental Health Center, supervising doctoral students in psychological assessment and diagnosis. Dr. Mohr sees assessment as a collaborative process to help children and families learn about strengths and find the support they need.